Scuderia Ferrari announces that it has reached an agreement of three years duration with Sebastian Vettel, who will drive for the team as from the 2015 season. 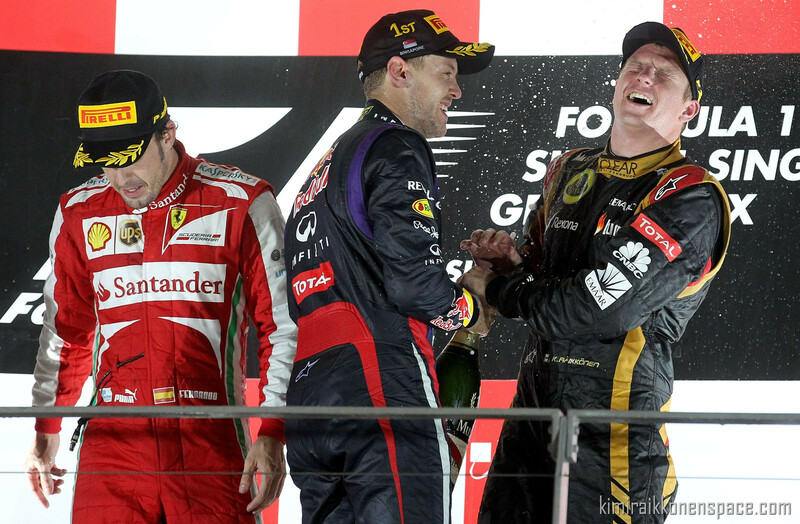 The driver line-up next season will consist of Kimi Raikkonen and Sebastian Vettel. Asked in today’s press conference if he expects to have a positive relationship with the 2007 champion, Vettel said “I think yes”. “Why? Because I think Kimi is probably the least complicated driver in the grid. “In terms of performance on the track I think when we talk about the skills Kimi has I don’t think there’s a single person in the paddock who doubts his skills, including myself. Sebastian Vettel will replace Fernando Alonso at Ferrari next season, after the Italian team confirmed a three-year deal with the four-time world champion. Ferrari team principal Marco Mattiacci hailed the arrival of Vettel, who will partner Kimi Raikkonen in 2015, and predicted he will become an “invaluable” asset. “Scuderia Ferrari has decided to put its faith in the youngest multiple champion in the history of Formula One,” Mattiacci said. “In Formula One terms, Sebastian Vettel is a unique combination of youthfulness and experience and he brings with him that sense of team spirit which will prove invaluable when, together with Kimi, they tackle the challenges awaiting us, as we aim to be front runners again as soon as possible. Vettel described his move to Ferrari as the realisation of a long-held ambition, inspired by the exploits of another German multiple champion who won five of his seven world titles with the team. “The next stage of my Formula One career will be spent with Scuderia Ferrari and for me that means the dream of a lifetime has come true, Vettel explained. “When I was a kid, Michael Schumacher in the red car was my greatest idol and now it’s an incredible honour to finally get the chance to drive a Ferrari. I already got a small taste of what the Ferrari spirit means, when I took my first win at Monza in 2008, with an engine from the Prancing Horse built in Maranello. Oh no! I think the arrogant German is going to drill the old boy big time. Time to wake up Kimi!! Wake UP!!! !